Immediately after a car accident, everyone involved usually leaves their vehicles and checks to see if everyone is ok. Once everyone is initially checked out, the conversation usually turns to insurance and money – and this conversation usually takes center stage for weeks or months to come. Unfortunately, some injuries that may go unnoticed won’t go away during this time. Symptoms may not even appear until days or weeks after the accident happened. If these injuries get worse, you will end up with more of a headache and hassle than you would have had if you treated injuries right away. Once you have gathered initial information and recovered from the shock of the accident, you need to visit a medical professional who can assess your condition and look for common car accident injuries that may go unnoticed by general doctors. This goes for victims of large and small car accidents. Even a small fender bender can cause injuries that will eventually cost you time and money. Symptoms of whiplash range depending on the severity of the accident. Whiplash may only cause minor pain, but victims may feel numbness or tingling days after their accident due to whiplash. Muscle spasms, dizziness, and fatigue may also be symptoms of whiplash. Jaw pain or headaches may also be the result of whiplash. Recovering from whiplash usually requires a period of rest or medication to ease pain throughout the body. Victims may require a few days to a few weeks of rest and attentiveness in order to make a full recovery. Do not write mild back pain off as “no big deal” after a car accident. Herniated discs, for example, may cause little to no discomfort initially. Over time, as the disc continues to put pressure on the surrounding nerves, a herniated disc could cause severe and permanent damage. Herniated discs may cause loss of feeling in the limbs, or loss of bladder control. 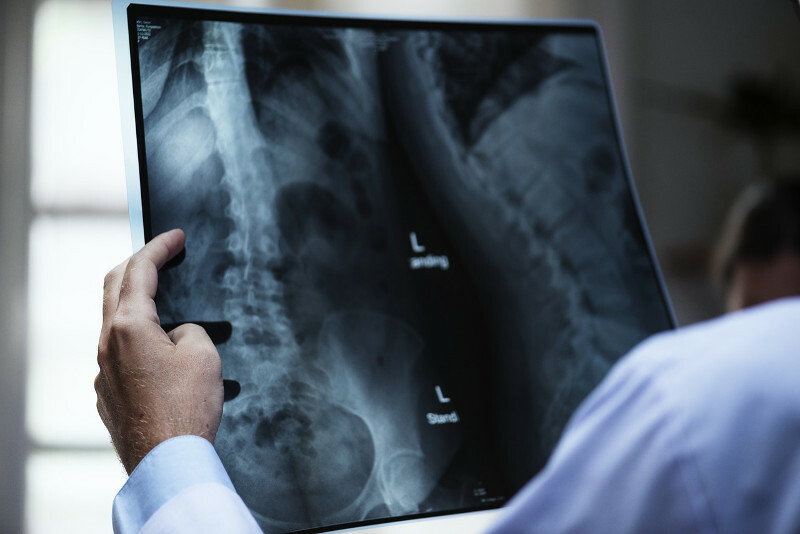 Doctors may recommend surgery for a herniated disc, but many herniated discs will recover with rest and physical therapy. The best way to get treatment fast is to visit a doctor who will assess your spine for damage after a car accident. Car accident victims who are experiencing lower back pain should be on high alert. Herniated discs are most commonly found in the lower back. Spinal injuries are common after a car accident, and manifest in many different ways. Fractures, strains, and herniated discs originate in the spine but can lead to symptoms throughout the body. Pinched nerves and spinal cord injuries may affect the way the nervous system interacts with the head, neck, or limbs. In more severe cases, spinal injuries may lead to paralysis. An injured spine can be extremely fragile if it is not cared for after a car accident. Trauma or sudden movement of the head may cause a concussion, which is a mild traumatic brain injury (TBI.) Concussions range in severity, but most are not life-threatening and can resolve themselves in a few days. Most car accident victims with a concussion will have to rest and relax for a period of time before going back to their normal life. While most concussions are mild, they should be checked out by a doctor as soon as symptoms occur. Not all concussions result in unconsciousness, and many symptoms appear days or weeks after the injury. Common car accident injuries have similar symptoms. The symptoms of internal bleeding may actually be a concussion or other injuries. This is why it is important to take your concerns to a medical professional. Most people will feel stressed after a car accident, but this is not a reason to write these feelings off. High levels of stress can lead to severe health issues ranging from joint pain to headaches to a lack of ability to return to work. A large portion of car accident survivors suffer from Post-Traumatic Stress Disorder (PTSD.) If left untreated, PTSD can lead to chronic pain, depressive episodes, and other mood disorders. Do not be afraid to seek treatment for mental health issues after a car accident. Even a smaller accident can be a traumatic incident. Here’s the bottom line: car accident injuries must be treated by medical professionals. Letting any car accident injury go unnoticed may result in further damage. If you have been the victim of a car accident, you have your injuries properly assessed and identified before symptoms worsen. Take your concerns to professionals who specialize in car accident injuries. The team at Personal Injury Doctor Now knows how to properly diagnose and treat a wide variety of car accident injuries. No matter what symptoms you are experiencing, or how urgently you need care, you will be able to seek treatment. We can put you on the path to better health after a car accident. 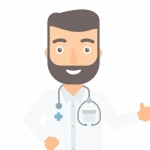 Contact us to receive medical care immediately without any out-of-pocket expenses.